Our One Stop Shop team makes it easy for you to relocate and expand in Memphis. It’s a given that maintaining or growing a business will have some challenges. When your business is in Memphis or Shelby County, you never have to tackle those challenges alone. Helping the area’s existing businesses grow is just as important to us as attracting new ones. The Chamber and our partner organizations are always standing by and ready to help. 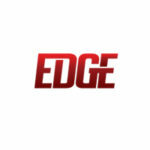 We’re teamed up with local, state and federal agencies committed to your success. From financing and site selection, to tapping into incentives and expediting permits, we’re ready to make things happen — fast. Because when your company succeeds, everyone benefits. If your business needs help, call the Chamber first. We’ll mobilize our partners to get you the help you need. With our One Stop Shop program, you can find solutions and initiate any necessary permits or reviews — fast. Tell us what your needs are, and we’ll arrange a meeting with the professionals from key local and state resources and partners to resolve it. Learn more about our One Stop Shop Partners below. The Memphis and Shelby County Economic Development Growth Engine (EDGE) provides and coordinates public incentives to drive economic development in Memphis and Shelby County. EDGE’s public/private partnerships create jobs, grow the economy, revitalize neighborhoods, attract investments, spark innovation, and encourage entrepreneurship. Memphis Light, Gas and Water (MLGW) works closely with the Greater Memphis Chamber to help foster economic development in the community. Since 1979, MLGW’s Economic Development team has been housed within the Chamber. 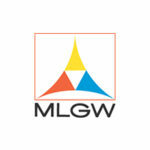 MLGW’s staff, in conjunction with TVA, works side-by-side with the Chamber to further existing business retention and expansion, prospect development and business research. 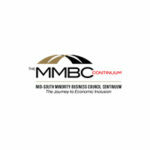 The MMBC (Mid-South Minority Business Council) Continuum assists new and expanding companies with potential vendors for all levels of service including construction, accounting, IT and maintenance contracts, among others. MMBC offers a match making service to corporations in need of vendors. 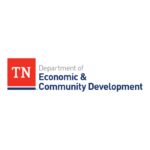 The Tennessee Department of Economic and Community Development’s mission is to develop strategies that help make Tennessee the No. 1 location in the Southeast for high quality jobs. To grow and strengthen Team Tennessee, the department partners with the Chamber to attract new and existing corporate investment in West Tennessee. 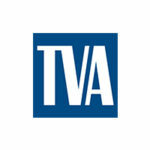 The Tennessee Valley Authority’s Economic Development team works to attract new companies—which results in more jobs and investments in the Valley—and to engage existing businesses and industries to help them grow in a sustainable way. TVA partners with it’s largest customer, MLGW and the Chamber accomplish these goals and sustain economic growth in the Memphis region. 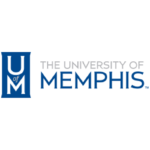 The University of Memphis Office of Corporate Partnerships and Economic Development partners with the Chamber by providing customizable training programs, research assistance, new product and company start up assistance as well as faculty expertise. 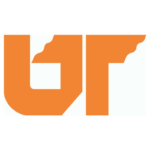 The University of Tennessee Center for Industrial Services provides new and existing companies technical assistance with efficiency training, plant design, safety or environmental regulations compliance and navigation of the federal procurement process. 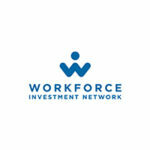 The Workforce Investment Network (WIN) identifies and pre-screens qualified talent for local businesses, and provides grants/other assistance to employers to offset workforce costs. WIN partners with the Chamber to assist existing and relocated businesses with training potential workers, job fairs and recruiting.